Martin Mystery Average 0.00/5 - out of 0 total votes. Martin Mystery, the Detective of the Impossible has made a discovery off the coast of the Azores. A sunken port may point to the lost civilization of Atlantis. Unfortunately for Martin, strange men dressed all in black dont want his discovery made public and theyre willing to kill in order to keep it a secret. You can be sure that this is one mystery that Martin wont turn away from. 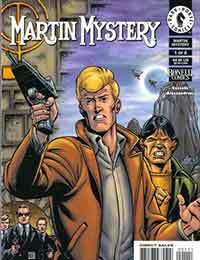 Make sure to check out this first American issue of Martin Mystery featuring a cover by Dave Gibbons.